After completing our backyard project, we have some leftover pavers which could cover around 500 sq ft area. The palettes are sealed and not even opened in brand new condition. 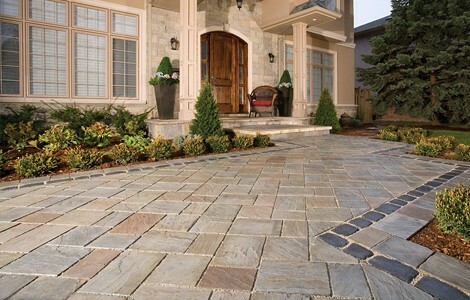 Unilock pavers are of highest quality and have a natural stone finish to the pavers. We also have border pavers (as shown in the image). The pavers themselves cost around $10.50 per sq ft. These pavers unique and beautiful.